Shopping for Batman v Superman: Dawn of Justice Artwork? Warrior Goddess. Amazing Amazon. 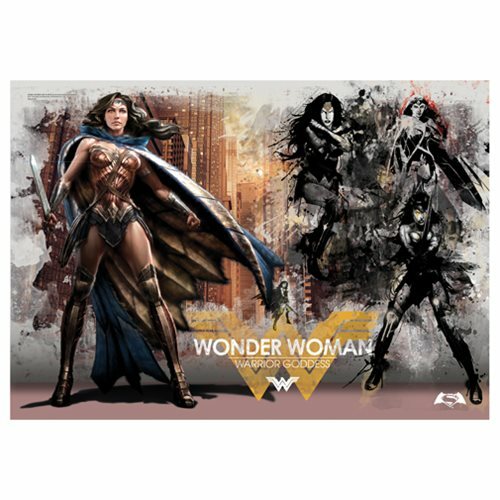 Pick a side with the Batman v Superman: Dawn of Justice Warrior Goddess MightyPrint Wall Art Print! Measures about 24-inches wide and 17-inches tall, this state of the art opaque print is durable and tear resistant, comes in a matte finish, and is fade resistant. Watch Wonder Woman in action and full color right in your very own home!